For many mobile workers, media hubs offer the ideal solution for dealing with data storage shortage when they run out of space on their laptops, tablets or smart phones. These devices offer extra storage in the form of SD cards and USB drives despite their compact size. Some mobile hubs even function as device chargers or routers. The Iogear MediaShair Hub measures 2.8 x 3.7 x 0.6 inches and weighs about four ounces. The device doubles a mobile access point and gets juiced for up to nine hours of operation from its 2600mAh battery which can be recharged from an electrical outlet or a vehicle’s cigarette lighter port. Other mobile devices can be connected to its USB port for charging. 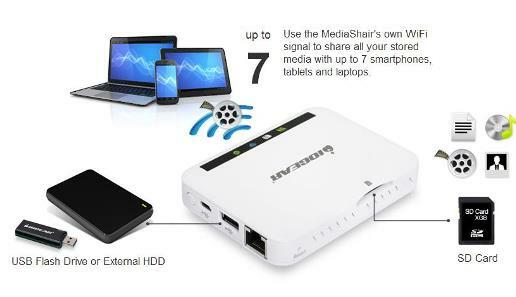 The MediaShair has an Ethernet port and has mobile apps for Android and iOS. It has tools for sorting, searching, viewing and managing files. It retails for about $58 to $79 and available direct for $99.95. The Kingston MobileLite Wireless weighs in at 3.5 ounces and measures 4.9 x 2.3 x 0.7 inches. 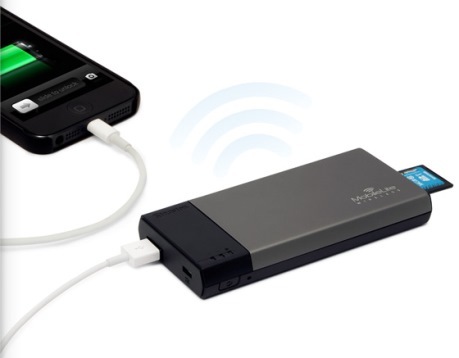 Its rechargeable battery lasts for up to five hours and can also charge your mobile device. It sells for $59.99. The device has USB ports and supports USB flash drives and SD cards. It has no Ethernet port so it cannot act as a router or access point. Of the three devices, the MobileLite is best for managing mobile media. It has apps that run on Android and iOS. It works as a music player, and photo sharing device and supports up to three simultaneous connections. User can also access digital rights management (DRM)-protected iTune file but connection via Safari is needed. Unfortunately, the MobileLite does not support USB hard drives and lacks Ethernet ports. 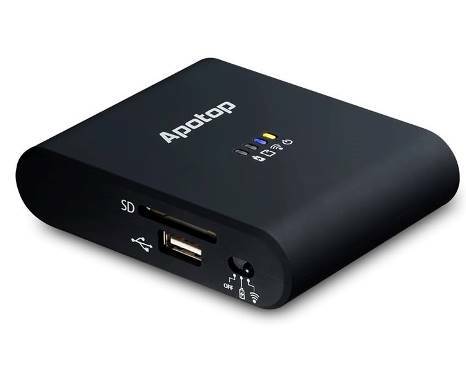 The Apotop Wi-Copy weighs 5.6 ounces and measures 3.6 c 2.9 x 0.9 inches. It has a 5,200mAH battery that runs for 14 hours and handles data from SD cards and USB hard drives. The Wi-Copy is the most expensive of the thee, selling for $109.99 online. The device multitasks as a mobile device recharger, wireless router and Wi-Fi extender. However it has no simple pass-through option to let users reconnect to a Wi-Fi network after they have connected their mobile device to the Wi-Copy. The Wi-Copy applications lack a search option.